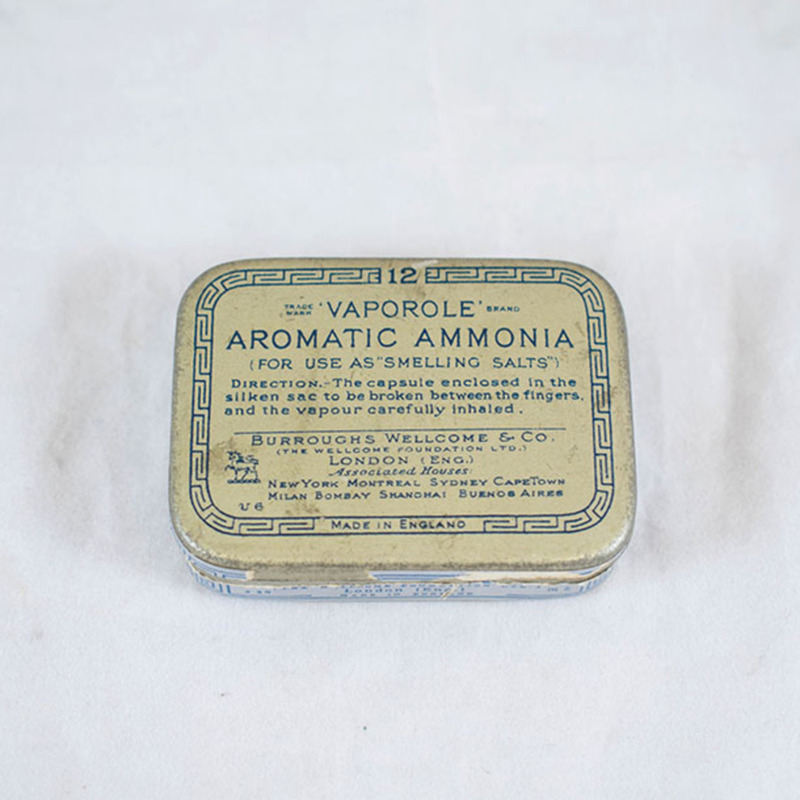 A small tin containing 8 ampoules of Vaporole (aromatic ammonia). Instuctions for use as a smelling salt are detailed on the label. Burroughs, Wellcome & Co.; 1880-1942; Pharmaceutical manufacturers, “Aromatic Ammonia,” Heritage, accessed April 20, 2019, https://heritage.rcpsg.ac.uk/items/show/958. 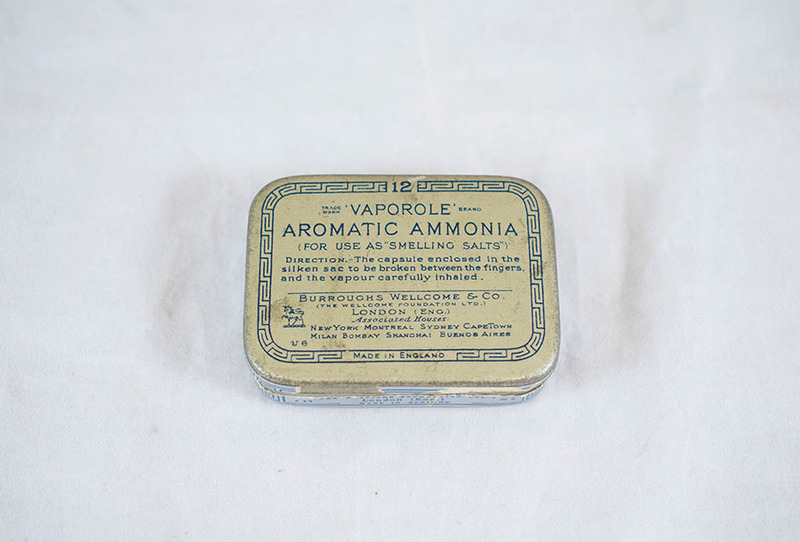 Description: A small tin containing 8 ampoules of Vaporole (aromatic ammonia). Instuctions for use as a smelling salt are detailed on the label.